Shofarel Jewish Ministries is the missionary outreach of Mishkan HaShofar Messianic Jewish Congregation. Rabbi Robert speaks on the Jewish roots of the Christian faith in churches and schools nation-wide. Robert came from a family where his father was raised in the Orthodox Jewish tradition, and his mother, an immigrant from Naples, Italy, converted from Catholicism to Judaism. They observed traditions of both religions, celebrating the Jewish Holy Days with his father’s family and secular Christmas and Easter at home. After spending 27 years as a police detective, Robert felt called into ministry. Upon retirement in February 2009, he enrolled in the Feinberg Center for Messianic Jewish Studies, with Talbot Theological Seminary, where he completed his Master of Divinity Degree in Messianic Jewish Studies. 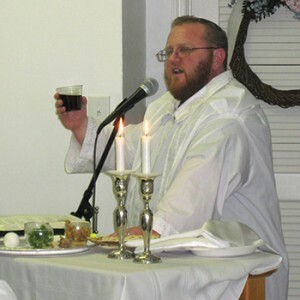 Robert holds a double ordination, as Messianic Rabbi and a Baptist Pastor. Robert spent several years serving as a missionary with Chosen People Ministries, then resigned to answer God’s call to plant a new Messianic Congregation and serve with Shofarel Jewish Ministries. Robert travels the country speaking on the Jewish roots of the Christian faith in churches and schools. Robert leads a Messianic congregation, teaches Bible studies and seminars on witnessing to Jewish people, hosts Passover Seders and provides teachings and demonstrations on the Shofar. Robert’s desire is to reach his Jewish people with the Good News of the Jewish Messiah. Robert and his wife, Herta, enjoy sharing the Jewish roots of the Christian faith and would love an opportunity to partner with you and your church. Rabbi Robert is available to speak at your church or congregation on many topics relating to the Jewish roots of the Christian faith. Rabbi Robert is happy to come and lead a Passover Seder with your church, share teachings on the Jewish festivals of Leviticus 23, teach Bible study or play the shofar. He is also available to pulpit fill when your pastor is unavailable. To have Rabbi Robert come and speak at your church or organization contact Herta Pristoop at 301-871-8701. Rabbi Robert is available to serve as officiate for life cycle events such as marriages, funerals, baptisms, bar and bat mitzvah, and baby dedication/naming. If you are a Jewish believer or would like a Jewish presentation of your life cycle event, Rabbi Robert can do both Jewish and Christian services. A wedding is a special time and the service should be meaningful. Rabbi Robert is available to officiate weddings, following the Biblical mandate as a covenant marriage between one man and one woman according to Genesis 2:24. In order for Rabbi Robert to officiate the marriage both the man and the woman must be believers in Messiah Yeshua. They both must attend a period of pre-martial counseling with a minimum time of three months. Rabbi Robert can officiate the wedding with the Jewish customs of being married under the chuppa and recitation of the seven Hebrew blessings. 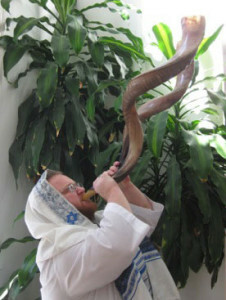 Just as our bridegroom, the Messiah, will return for us with a shofar blast, Rabbi Robert can sound the shofar for your wedding as well. Rabbi Robert can officiate funerals and memorial services both Christian and Jewish. He is able to recite the Kaddish prayer and play the shofar at the gravesite. If your children are not in a Messianic congregation but you would like them to have a bar or bat mitzvah, Rabbi Robert can teach the children their prayers, Torah and haftorah portions in Hebrew. Preparation time for bar and bat mitzvah will depend on how fast your child learns the prayers and Hebrew portion. Children with special needs or learning disabilities will be permitted to recite all prayers and portions in English. Rabbi Robert is available to come to your church and share the Jewish roots of the Christian faith. Learn how the Feast Days of Israel are prophetic to the first and second coming of Messiah. Experience a Passover Seder (Last Supper) and what it would have been like for Jesus and his disciples. Gain a deeper understanding of Scripture through Jewish customs and culture and implements that were observed and used in Biblical Israel. To have Rabbi Robert speak at your church, school, or Bible study contact Herta Pristoop at 301-871-8701.